Wednesday, 17th April 2019 Season 2019: Let's go! Is everyone on board? Stow your bag, strap yourself in, and brace yourself because it’s finally here: the sailing season 2019 has arrived! 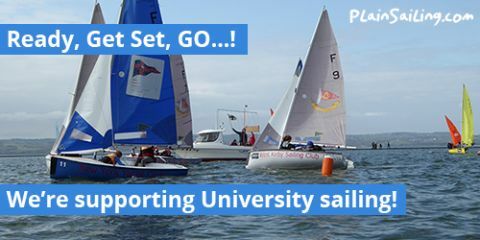 Thursday, 4th April 2019 We're supporting University sailing! We might be top experts on sailing in the Mediterranean, but we’re also very proud to be supporting sailing much closer to home, helping people to get out on the water and to work out how to fill their sails here in the UK! Friday, 29th March 2019 Our Interview on Kuoni Retail TV! 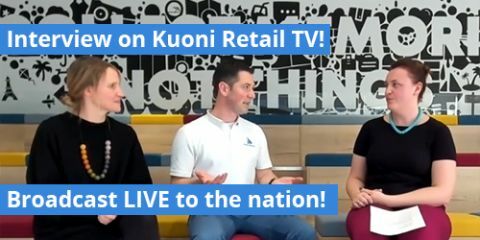 To help launch our amazing Kuoni & PlainSailing.com Sailing holidays, we were invited to take part in a holiday discussion which was televised across the nation on Kuoni Retail TV! Thursday, 21st March 2019 Quality boats, great prices! 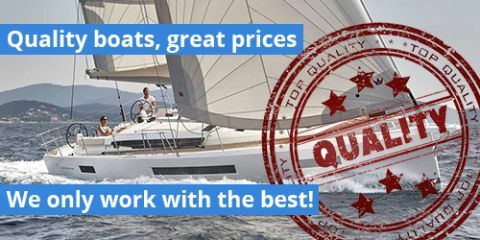 We only work with hand-picked professional yacht charter operators in each base, who we have met, know and who we trust to give you a quality, well-maintained boat, and a brilliant and hassle-free sailing holiday! 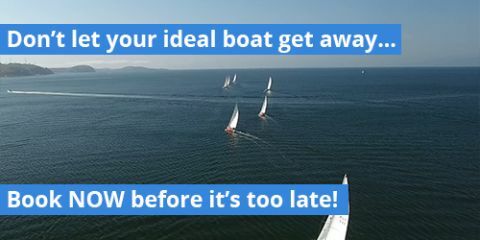 Friday, 15th March 2019 Don't let your ideal boat get away... BOOK NOW! The best boats are getting booked up fast- act now to book your ideal boat, because it might not be available for much longer…! 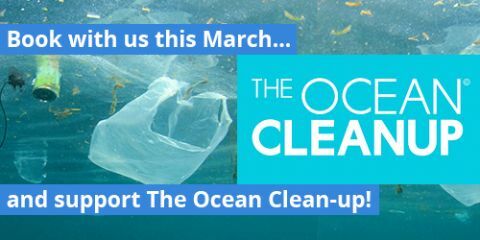 Monday, 11th March 2019 Book with us in April and we'll donate to The Ocean Cleanup! 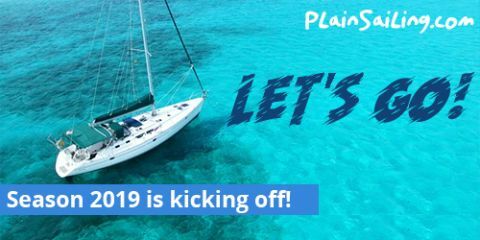 Book a week-long Mediterranean sailing holiday with PlainSailing.com this month, and we’ll donate to The Ocean Cleanup! 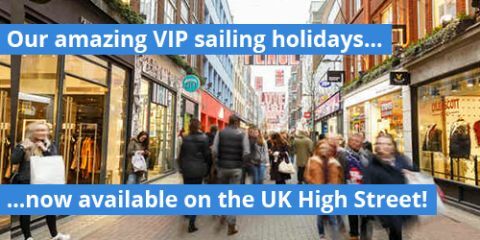 Friday, 8th March 2019 Amazing sailing holidays now available on the UK High Street! We’re working in partnership with travel experts Kuoni to offer amazing sailing holidays in the Med for sale on the UK High Street! Thursday, 28th February 2019 Can I sail one-way? 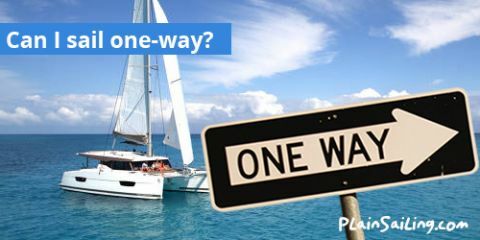 Some people like to know where they’re coming back to at the end of the week, but others prefer the romance of a one-way charters – so here’s our guide to one-way charters and how they work! It’s not just Skippers who can make a sailing holiday even more relaxing and stress-free. 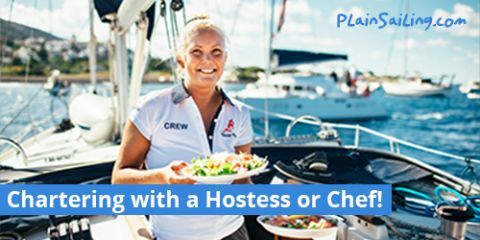 Here’s our guide to chartering with a hostess and a cook! 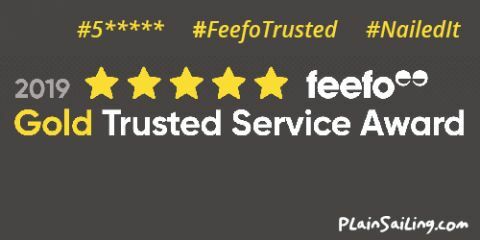 We’re proud to be FIVE-STAR GOLD TRUSTED by Feefo for their annual awards – the highest award there is for our exceptional customer service! Thanks to our amazing team / our amazing customer feedback!